The professionals at Springville Dermatology offer a wide range of services to provide quality care options for our patients in Springville and Tooele. We focus on your skin care needs by providing general dermatology; adult, teen, and pediatric dermatology; allergy testing and treatment; cosmetic dermatology; laser treatments; esthetics, and more. Operating as a teaching/ learning facility keeps us up-to-date on the latest medical research, procedures, treatments, and trends. Contact us online for more information or call (801) 704-7001 for an appointment. Moles are normally harmless and quite common for most skin. These growths are usually tan or brown in color, sometimes raised, and come in a variety of shapes and sizes. Over time, some moles may change appearance, becoming lighter in color, or bigger. 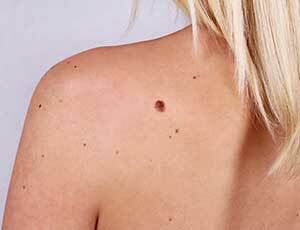 Another treatment is to remove your mole by surgical excision or shave excision to stop irritation, to improve appearance, or to prevent the mole from becoming cancerous. A change in a mole can indicate a serious problem. If you have a mole that has become larger, changed color, is asymmetric, seems to have developed an irregular border, itches, crusts, bleeds, or is painful, consult Dr. Peterson immediately. Cysts are small closed sacs that contain fluid or solid material. Surgical removal helps to avoid problems, such as inflammation and infection, and improves cosmetic appearance. Lipomas differ from cysts in that they are primarily composed of soft, fatty tissue. Lipomas are typically benign, easily removable and painless. We can remove both cysts and lipomas to avoid problems related to inflammation, infection, appearance, or other discomfort. Scars can result from acne, chickenpox, accidents, or previous surgery. Dr. Peterson will examine your scar to determine the best treatment plan. He and his technicians can often improve them with dermabrasion, or by using soft tissue fillers like collagen, collagen enhancers, hyaluronic acid, or fat injected into the skin to fill depressions. A complete excisional revision may also be used. We can surgically level raised scars or flatten them with corticosteroid injections. Warts are growths of thick layers of skin that are caused by a virus. People of all ages may develop warts anywhere on the skin with varying degrees of discomfort. Warts may be removed by cryosurgery, curettage, electrosurgery, injections with chemicals, or laser surgery. We can remove some non-melanoma skin cancers, such as basal cell and squamous cell carcinomas, using a standard excision. This procedure removes the skin cancer as well as a small portion of the healthy tissue surrounding it. We then close the area using stitches or, if the incision is large, a flap or skin graph. This procedure can typically improve the way acne scars look by changing the size, depth, or color. However, no scar can ever be erased completely, and no technique will return the scar to its normal, uninjured appearance. Patients are pleasantly surprised by how much smoother and lighter their skin looks after an acne scar reduction. Dr. Peterson will suggest the best approach after an examination. Click here for more. Acne is a common skin disorder that can be an embarrassing problem for many teenagers and adults. Young people who develop acne often continue to experience it into adulthood. A variety of factors, such as genetics, stress, and lifestyle habits combine as part of this skin condition. If you experience constant or chronic episodes of acne, it is best to consult with a dermatologist to review effective treatment options. For more on acne, download our acne information page, or consult with the doctor at Springville Dermatology today. The skin professionals of Springville Dermatology see a full range of people with rashes and other skin ailments due to allergies. Allergic reactions may first appear as red spots, redness, or swelling. Our physicians’ skills include pediatric dermatology and adult dermatology to help patients with allergy symptoms. We will work with your allergist or immunologist to coordinate care based on treatment using allergy shots. To read more about the benefits of allergy shots, download our allergy solutions information sheet. Atopic dermatitis is a disorder of the skin where patients experience sensitive rashes that flare, itch, and like many skin problems, may be susceptible to infection. There are a number of options for controlling flare outbreaks of atopic dermatitis, which our doctors can review with you. Depending on the cause, a combination of medications or topical options help patients to cope with this frequent discomfort. For more information, download our atopic dermatitis page, and consult with the doctor for the most effective relief. Eczema, much like atopic dermatitis, is a skin condition that can impact your life with patches of dry, red, and flaky skin. Some patients are likely to experience eczema occasionally, seasonally, or due to an environmental factor. The doctors at Springville Dermatology offer effective ways to treat eczema using a variety of options, which you can discover on our downloadable eczema information page. Together, we can find relief for mild and severe bouts of eczema. 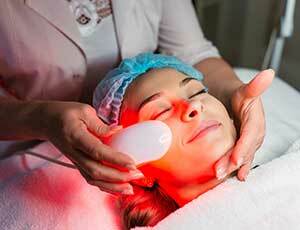 Springville Dermatology offers laser treatment services using two different types of in-house lasers. Our SmartXide DOT CO2 Laser (Fractional Carbon Dioxide Lasers) treat deeper wrinkles, blotchiness, acne scars, and precancerous growths while creating smoother, softer, brighter, and younger looking skin. The results speak for themselves! Cutera Excel HR Laser We love the results we are seeing from our Excel HR Laser treatments! This noninvasive treatment reduces pore size, fine lines and wrinkles, redness, and scars, while stimulating collagen growth with ZERO down time! Start seeing your results today! Psoriasis commonly affects the skin of the elbows, knees, and scalp. It is a condition that consists of plaques of thickened, scaling skin. It may have different appearance depending on its severity. A mild case of psoriasis may appear as ashy, flaky patches of dry skin, while more severe or extensive forms become very red and irritated. Speak with the doctor if you experience these varying types of psoriasis. More information may be found on our downloadable psoriasis page, and consult with the doctor at Springville Dermatology for the most effective relief. Warts generally grow on the hands, fingers, feet, and toes. Generated by a viral infection, warts come in variety of shapes and sizes. Some warts may be flat, and some may resemble a cauliflower and can be very tender. Regardless of their nature, they can be ugly and can spread, so most people decide to get rid of them. Treatment and removal services are available to a wide variety of wart types, so speak with your Springville Dermatology doctor to review options for the type of warts you have. Download our warts page for additional information. The skin care and treatment professionals at Springville Dermatology use a variety of products. We maintain these products to have on hand for use in treating the many skin conditions patients may have. As we encounter use, our doctors and professionals can explain how these skin treatment products may benefit your healing process. If you have any questions, consult with the doctor. Springville Dermatology in Springville and Tooele, UT, offers targeted cosmetic procedures and services to keep your skin in optimal condition. Speak with our Master Esthetician, Cassandra, for a consultation to coordinate your cosmetic treatment based on your needs and medical condition. Select from among the variety of procedures on our menu to achieve healthier skin today. Call 801-704-7001 to schedule an appointment with Cassandra today! Speak with our Master Esthetician who can design a customized skin care program using medically proven and tested products as well as exceptional services to meet your skincare needs. Deep pore cleanse, extractions, and SPF protection. This European facial begins with customized products as well as a relaxing cleanse followed by gentle exfoliation and a massage that is certain to ease your mind and spirit. A process of gentle exfoliation using ultrasonic waves. It is non-invasive, safe, and suitable for all skin types. Great for superficial fine lines and improves skin tone and texture. Safe for all skin types. Ask about our DISCOUNTS for multiple purchases. Customized peel based on skin concerns. 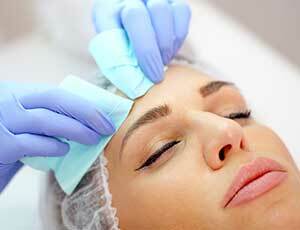 Chemical peels are a way to gently exfoliate the skin leaving it refreshed and glowing. These peels have no downtime and are gentle enough to schedule every two to four weeks. Customized peel based on skin concerns. Most have pre-approval from Esthetician and on approved homecare products. These chemical peels are a way to aggressively exfoliate the skin to better treat skin conditions and concerns. These peels have little downtime and should be scheduled every four to six weeks. Chemical peel specifically designed to combat mild to moderate acne. Includes extractions prior to peel, use of Blu-U light, and samples of homecare products. This deep exfoliation peel is perfect for achieving clearer, and smoother skin. This peel is applied to the body (back, arms, legs, or chest). This treatment is ideal for clients with blemishes, pigmentation acne scars, significant sun damage, pronounced lines and wrinkles, uneven skin tone, or rough areas of skin. Micro-needling device works to tighten, lift, and rejuvenate the skin. It is effective in reducing fine lines and wrinkles, and minimizing the appearance of pores. Micro-needling can also soften the appearance of scars. Collagen synthesis will be stimulated due to the deep absorption of chemical products with the micro-needling device. Customized peel based on your skin concerns. Tighten, lift, and rejuvenate the skin with our micro-needling treatment followed by a high performance peel to smooth the appearance of fine lines and wrinkles, lighten pigmentation, and soften texture. Non-invasive treatments using a unique blue light that kills the P. acne bacteria in your skin. It is safe, not hot, and not painful. After a few weeks, the blue light can help control your acne. Reduce the esthetic effects of excessive fatty deposits with body sculpting treatments. If right for the patient, Kybella injections may be used to improve the appearance and profile of various body contours.